The name” Kizomba Mani” is made by merging our dance passion with our names, and Kizomba is the Angolan Tango which we really fall in love with in its purest form. We keep continuing to challenge and develop using all the basic elements. …..”Mania” literally means: a love for something, rage. We already knew from the Angolan way of dancing that Kizomba is our biggest passion. In Our “Kizomba“ dance classes we try to create a homely and relaxed atmosphere where we instruct , but we also leave room for silliness and fun on the dance floor. 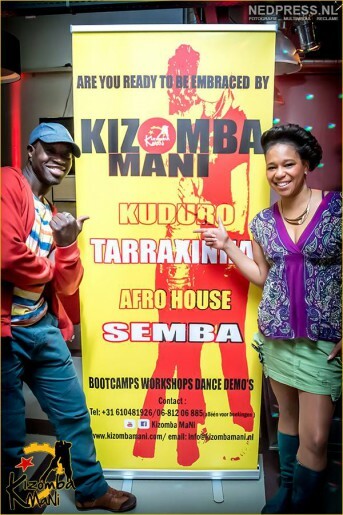 We from Kizomba MaNi see ourselves as instructors, and help people how to make the dance their own. As ‘Kizomba MaNi’ we show our unique way of the dance. It’s important to keep on developing our teaching techniques so it becomes easier to dance KIZOMBA with an Angolan flavour! He was always dancing at Soul & R&B theme nights, but noticed that something was missing and wanted more experience in the dance scene. That was when he decided to take dance lessons. Salsa and Bachata ware the first lessons because he had to wait for a new start of the dance season for Brazilian dances. 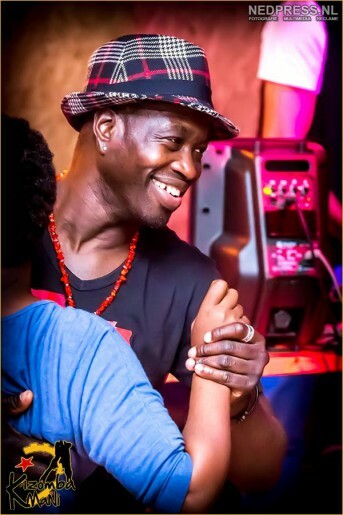 After learning to dance Samba Gafeira and Pagode, Forro and Lamba Zouk he noticed that there was something special about the music of Lamba Zouk. And everything began to make sense. Bachata is a dance that originates from Nidia’s homeland Dominican Republic. At very young age she did perform Bachata following her father’s steps who loves the Bachata. Most of her dance experiences came naturally and easy to her. When she grew up she went to a dance school and learned various dance styles like Bachata, Samba, Forró, Samba Pagode, Samba de Gafieira, Zouk and Lambazouk. 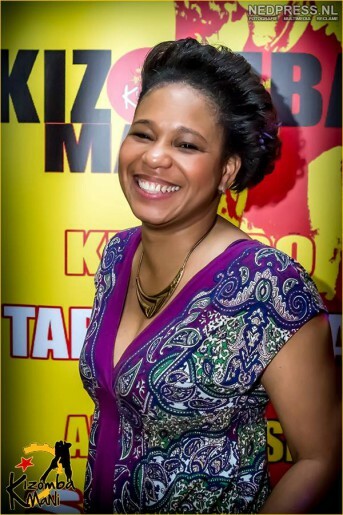 Then Kizomba came into her life and captured her heart for sure.